​"Awkward problems when your dong gets stuck in the honey pot." TVO Podcast and Interview for Chichester's Choice in advance of Television World Premiere. "Watching the Watchers at Hot Docs." "Tertio Millennio is undoubtedly a unique festival. Only film festival to have the support of the Vatican..."
​"Emotionally potent and sometimes painfully honest, Chichester's Choice is also a compelling case study in legitimacy..."
"Chichester's Choice: All things culture on Clip Trip." 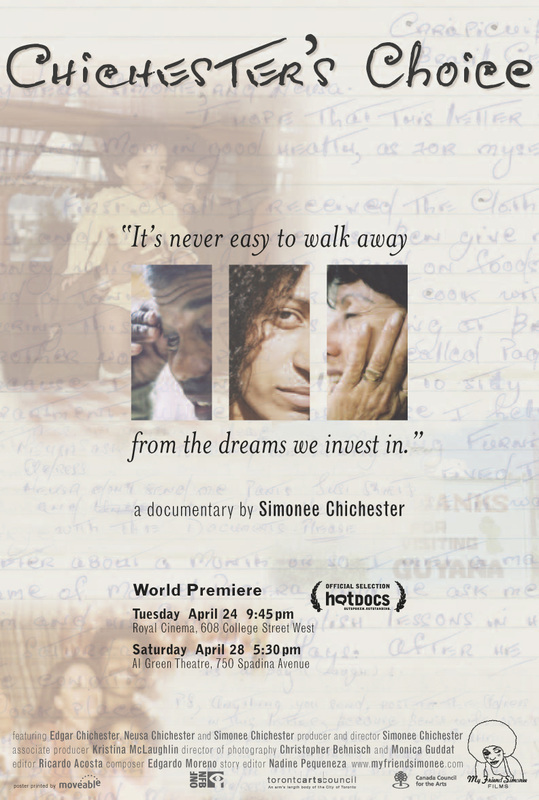 "Chichester's Choice is a heartbreaking documentary that explores the power of forgiveness and understanding." ​- ENTERTAINMENT TONIGHT Television Interview. ​"Director Simonee Chichester and her crew interview girls and women in Portage Place Tuesday for a documentary called BECAUSE I AM A GIRL." - Eva Cohen WINNIPEG FREE PRESS Interview. "Olympic gold medalist, Jennifer Heil, and Director, Simonee Chichester, kick off filming of the Because I Am A Girl documentary." ​"Her winning entry for the Kodak New Vision Mentorship award was an original screenplay called Merv, a coming-of-age story about a man starting over at the age of 59."